My least favourite part of the day is the school run. Getting three children out of the house, then a drive to school, a fight to park the car and then a walk to school is not easy. I was getting very frustrated pulling my big pushchair in and out of the car several times a day. So when Mookie asked if I wanted to review their Quicksmart Easy Fold Stroller I jumped at the opportunity. Excuse the yellow stickers we’d been to the Eden Project. 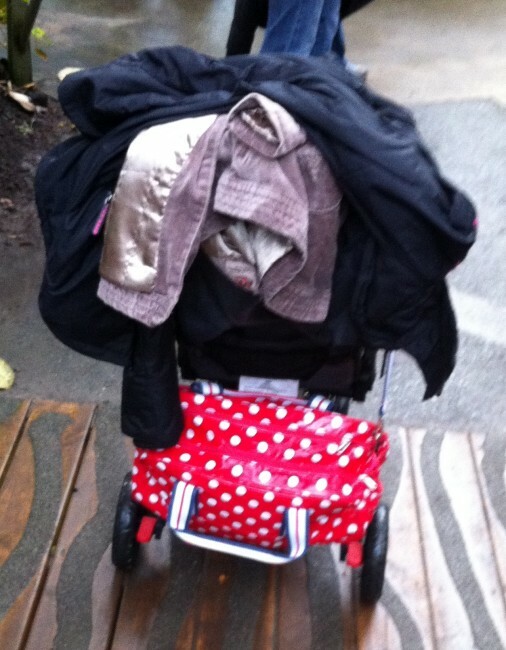 There is no doubt that this stroller has made the school run much easier. It can be put up with literally just a one handed flick of the wrist. If we are really struggling I can carry little S and still manage to push the pushchair easily with one hand. 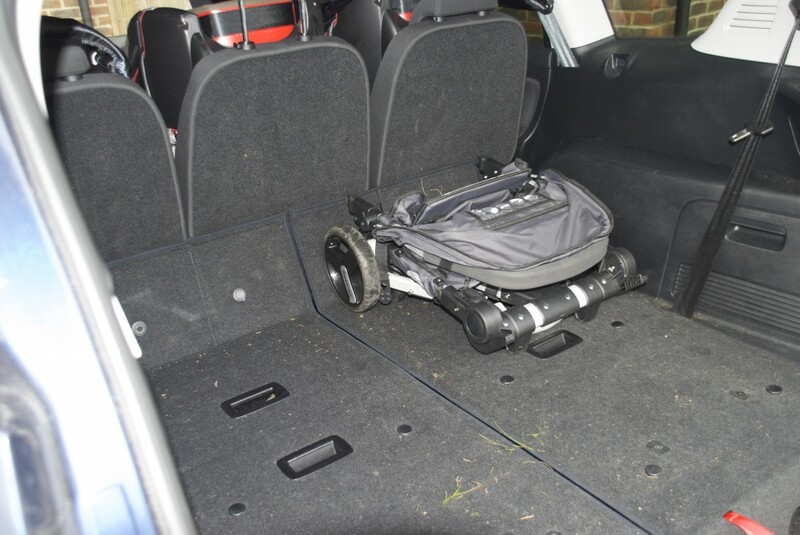 This is the stroller folded down and in my car boot, you can see how compact it is. The stroller comes with its own handy bag and rain cover. The rain cover is easy to put on and stays in place, even in strong wind and sleet, as we found one morning recently. The bag is a brilliant idea, and makes the stroller very easy to transport. You can carry the bag on your shoulder and the stroller fits in easily. 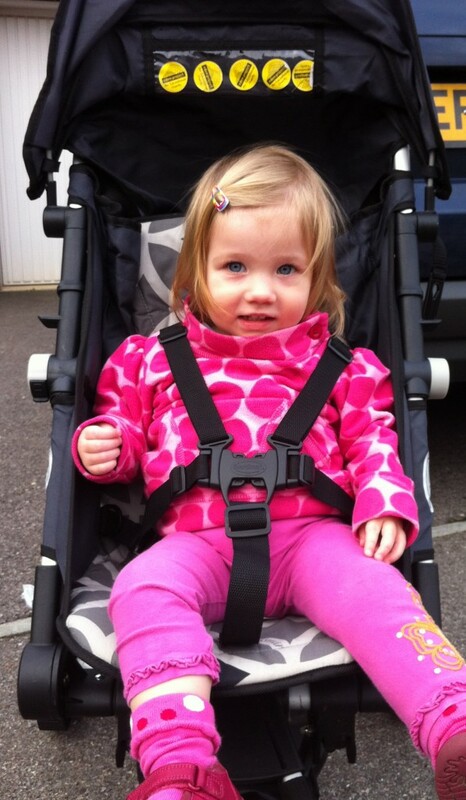 The 5 point harness feels very secure, and is easy to fasten and unfasten. I also like the fact that the stroller reclines. Baby H has no problem sleeping in it. I really do love this stroller and would definitely recommend it to a friend. The only drawback is that the parcel basket is quite small, but as you can see we still manage to load it up. One of my favourite features is that it doesn’t fall over when you have bags on it and take the child out, like my previous stroller does. This video shows the stroller in use. 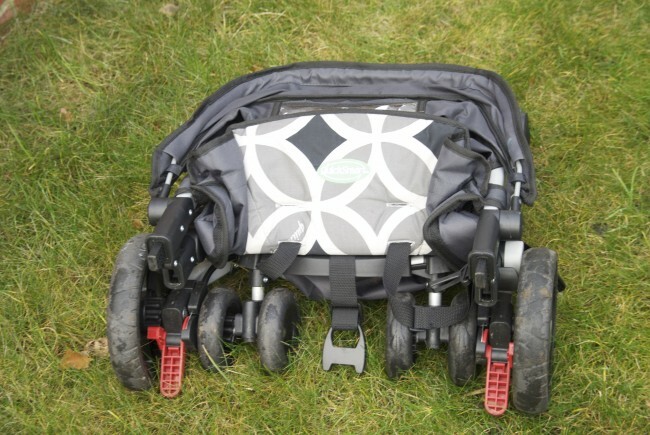 The QuickSmart Easy Fold Stroller is suitable for children from 6 months to 45 pounds, and has an RRP of £122. The stroller also comes in a funky red colour and fits in the overhead locker of an aeroplane. We received an Easy Fold Stroller free of charge for the purpose of this review. All words and opinions are my own. That looks great. I can’t believe how small it folds down and fitting into an aeroplane locker would be fab too. careful loading it up too much…over time ours became weak until one day I put too much on it….the handle folded itself & I let go & Jack went wheeling off! I will be careful. I have a buggy hook too!